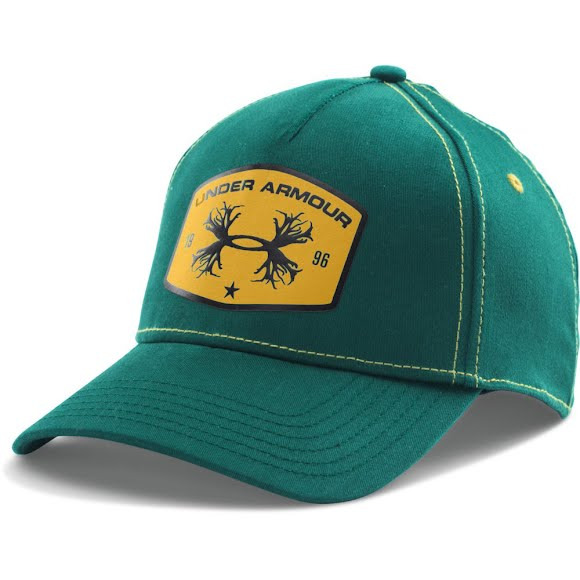 Ultimate style meets great performance with the men's Antler Patch Cap from Under Armour. This cap featrues a unstructured fit conforms to your head for lower profile as well as having built-in HeatGear sweatband wicks away sweat to keep you cool & dry. Ultimate style meets great performance with the men&apos;s Antler Patch Cap from Under Armour . This cap featrues a unstructured fit conforms to your head for lower profile as well as having built-in HeatGear sweatband wicks away sweat to keep you cool & dry.